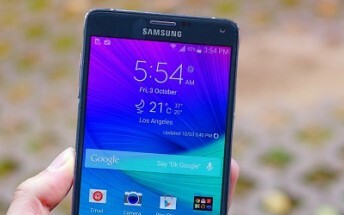 T-Mobile has started rolling out a new update to Samsung Galaxy Note 4 units on its network. 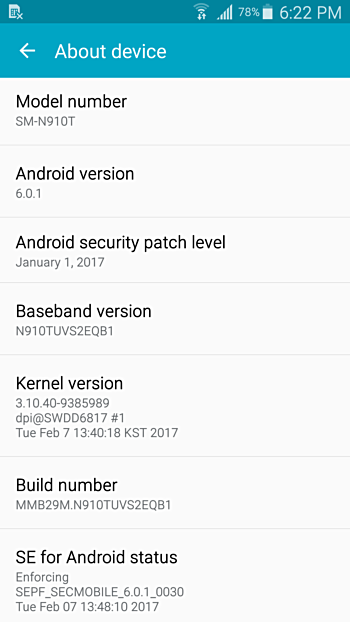 Arriving as version N910TUVS2EQB1, it's a security update that bumps the Android security level to January 1, 2017. The update weighs in at around 60MB, and also includes several new features including RCS support, video call and smart messenger. 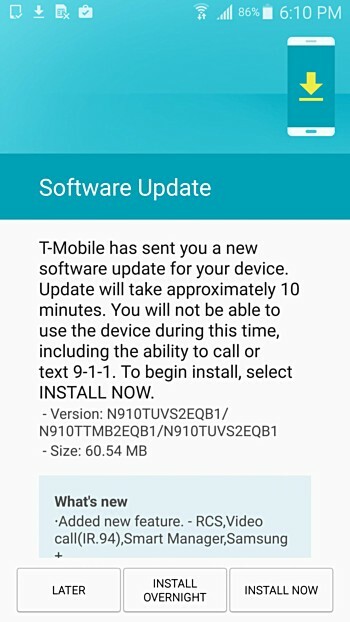 As is usually the case with OTA roll outs, it may take some time for the update to hit your device. You can manually check for the update by heading to your handset's Settings menu.